Motif XS & Motif XF Volume 5 - Hip Hop/R&B Mix, Hip Hop / Rap / RnB Sample from Kid Nepro. Kid Nepro has released five new volumes of sounds for the Motif XS and Motif XF series. Each sound bank contains 128 new programs. Vol #5 also includes 50 new samples and 4 new drum kits. Studio/Session mix is designed for musicians doing live gigs or studio sessions. There is a mix of keyboards, strings, guitars & basses, leads, brass, winds and other similar type sounds. They can be used in a range of styles including, rock, reggae, dance and even church services. Attention to real time control details like mod wheel and aftertouch give each program a more realistic sound and will give you greater control and more expressive playing in your music, the company says. Classic Synths has recreated the sound of vintage analog and digital synthesizers, adding new real time control features found on the Motif. "It's the best of the old and the new," according to Kid Nepro. Killer Keys can be used at live gigs or studio sessions and is designed for the keyboard player or organist doing church services. The new sound bank is designed to give you a wider variety of new electric & acoustic pianos, jazz, rock & pipe organs, funky calves, harpsichords and layered keyboard sounds mixed with strings, pads, choirs and brass. Soundtrack/Film Mix is designed for composers doing film and TV production. Kid Nepro has created different type "atmospheres" that can be used as background to a video, TV or movie soundtrack. Many of the sounds can also be used in new age or synth type audio tracks. There are pads, special effects, alternate tunings and spacy rhythms using the motif arpeggiator. Kid Nepro wanted to try something new with this sound bank so they dug into their collection of sampled sounds. They started by importing fifty new WAV samples from their MPC and SP1200 sound libraries. Mostly classic drum samples; kicks, snares, hi hats as well as several horn, guitar and orchestra hits. In addition to the four new kits they also created the usual 128 new program voices. The voices combine the new multi samples as well as the factory samples. The 128 programs contain all the usual sounds that you will find useful in creating Hip Hop/R&B Tracks. New drum beats, basses, leads, guitars, hits, strings and pads and a wide variety of keyboard sounds. Sound collections are $40. each or get all five for $150. 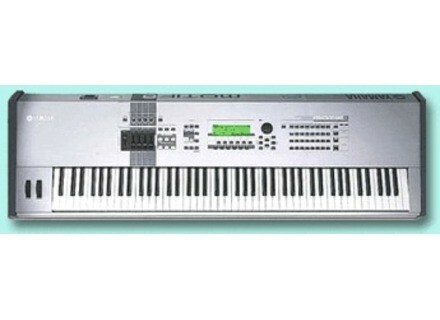 More info and demos at www.kidnepro.com/KN/Yamaha/Motif/MotifMain.html. TeamDNR Ammunition 1.1 & Constant Update TeamDNR updates Ammunition to v1.1 and announces a "constant update" program. Producer Loops Dark Tech Progressions Volume 1 The 'Dark Tech Progressions' series kicks off with five deep, dark and moody construction kits featuring drum loops, vocal loops, fx loops, one-shots, MIDI files and DJ Mixes. Hal Leonard Visual Drumset Method Hal Leonard Corporation has just released The Visual Drumset Method, a book/CD pack, in which author Matt Adrianson outlines a simple pictorial method for learning how to play basic drum beats.